Running Socially Responsible Business: How Our Franchisees Gave Back! As a large franchise event entertainment company, our outstanding franchise owners never fail to impress us. Our franchisees have always made it a point to operate socially responsible businesses. This past year, was no different. Looking back, it’s clear that giving back to communities was top of mind for many in the TapSnap family. Here are a few ways in which our franchisees have made a difference! TapSnap 1019 and TapSnap 1024 are amongst the many socially responsible businesses within the TapSnap fold. To Richard and Jodi Weis, owners of both businesses, giving back to communities is extremely important. That’s why they made it a point for their franchise businesses to partake in charitable initiatives. As a result, TapSnap 1019 and TapSnap 1024 have been sponsors for charity events on multiple occasions. 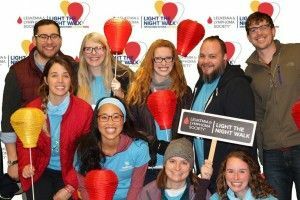 TapSnap 1019 has participated in several charity events hosted by the Leukemia and Lymphoma Society over this past year. 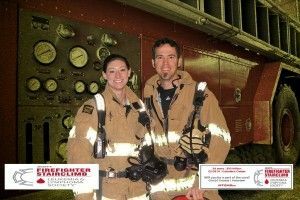 Among these events were the Light the Night Walk, and the 24th Annual Scott Firefighter Stairclimb in Seattle. While TapSnap 1019 was sponsored for the necessities such as costs for printer paper, they stood to gain no profit from either of these events. Instead, Richard and Jodi focused on delivering fantastic experiences to support worthy causes. Michael and Nelly Rozen of TapSnap 1153 are Team Ronald Heroes Too! Like Richard and Jodi, Michael and Nelly Rozen, owners of TapSnap 1153, have also made it a point of giving back to communities. This past June, TapSnap 1153 was a sponsor for the Annual Team Ronald Heroes Event. Michael and Nelly didn’t just stop there. In addition to doing the event for free, TapSnap 1153 also sponsored the silent auction. All funds raised for TapSnap 1153’s two free event entertainment packages were donated towards the cause—supporting children with cancer and providing them with a ‘home away from home’. 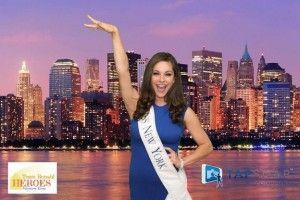 In attendance were Miss New York 2015 Jamie Lynn Macchia, and Paula Abdul. Clearly this event was a big deal! Michael’s and Nelly’s generosity and good-will goes to show that TapSnap 1153 is one of many socially responsible businesses witin the TapSnap family! Claire Nagle of TapSnap Vancouver has also made an impact this year by giving back to communities. TapSnap Vancouver has sponsored several charity and non-profit events. Most notably, TapSnap Vancouver attended the Pants Off For Prostate Cancer Vancouver event, hosted by Prostate Cancer Canada. This event was to raise awareness for prostate cancer research, and 100% of the proceeds were donated to the Vancouver Prostate Centre. In light of this, TapSnap Vancouver sponsored their social media photo booth and green screen for four hours that night. Everyone attending clearly enjoyed the photo entertainment TapSnap Vancouver provided! These are only a few stories of how our franchisees have made a difference by becoming sponsors for charity events. Back in May, Brad Highland from TapSnap 1114, Pam Berube-Peters from TapSnap 1044, John Dollymore from TapSnap 1116, and Chuck Coughlin from TapSnap 1118 worked together and sponsored the Pints4Pete World Tour 2015 and the ALS Fundraising Events. Together, they sponsored their services to help this worthy cause, and did their part in helping Team Frate Train members raise over $86,128 for ALS awareness and research! Our franchisees’ generosity is inspiring, and we couldn’t be more proud to work alongside such amazing people! If you’d like to join our team and start your own franchise business, give us a call at 877 577 0566 ext 741 to learn more. Remember, whether it’s being sponsors for charity events, or something much smaller, every action counts. This holiday season, keep with the spirit and pay it forward!